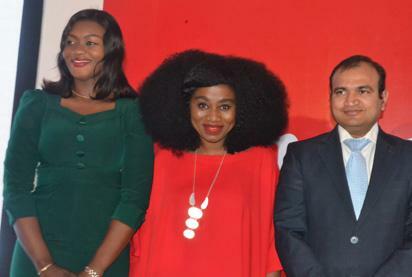 As part of the campaign, Canon will also be launching a photo competition with top musician and world-famous photographer/influencer TY Bello. The competition inspires people to celebrate their stories through imagery, ultimately capturing stories that define Nigeria through its people, culture and passion. Running for a duration of 1 month, participants are required to upload their stories on Instagram and Facebook while adding the hashtags #CanonCNA and #MyNaija as their captions. After compiling all the submissions, three winners will then be selected and awarded with a trip alongside TY Bello for a chance to create even more resonating stories. “Born out of the belief that it’s so often the small occasions in life that bring meaningful memories, Canon wants to make sure it plays a part in the storytelling of all these moments for everyone. This competition which will commence today, the 28th of February 2018 for a duration of one month is a mere example of how eager we are to promote storytelling.” Explained Mai Youssef, European Corporate & Marketing Communications Director Canon. “ Live for the story is a call to action inspiring people to capture experiences, save memories and tell their own stories in a unique and memorable way. As pioneers of imaging, one of our major targets is to engage our customers through this campaign to shoot, share, and remember their stories together with Canon.” Added Mai. Speaking at the media launch, Somesh Adukia, Sales & Marketing Director B2C, Canon Central and North Africa (CCNA) added “Canon is committed towards investing in Nigeria and exploring this growing market. Applying a ‘closer to customer’ strategy we have established our local presence via our rep office and appointed a full Nigerian team of channel and business development managers to cater to each segment within the market. Moreover, we have also expanded our service centres and are continuously supporting film makers with workshops as well as online/social competitions and challenges.” He added. “I am extremely excited to be part of this campaign, one which encourages Nigerians to share more stories, by capturing the essence of what being Nigeria means to them. #liveforthestory speaks to my identity first as a Nigerian and my brand as a professional photographer, by bringing untold stories to life through the lens of a camera”. Said World famous portrait photographer TY Bello. Creating products since 1937, Canon’s reputation is centred around quality, reliability and innovation. Understanding that the region is flourishing and becoming one of the rapidly growing media markets in the world; Canon will continue expanding their footprint in the market via encouraging young talents and catering to their technical as well as support-related needs. The post Canon launches nationwide ‘Live for the Story’ campaign appeared first on Vanguard News.